Today operators are facing increased network demand with falling ARPU and a substantial shift towards OTT. The consumers are embracing digital and expect the operators to provide reliable network anywhere anytime. 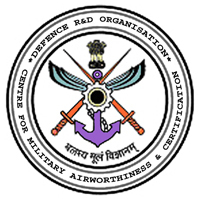 This trend has in-turn pressurized the operators to lower the operational cost and focus on customer experience to stay relevant in the industry. Innovation is the key in creating differentiated services and drastically improving service velocity drastically to monetize the innovation through network transformation. The evolution of different technologies in the communication sector over the recent years is commendable. Virtualization, Software Defined Network, Cloud, Analytics, Machine Learning, DevOps, Containers, Micro-services, Design Thinking, IoT, Edge Computing, 5G, WiFi, and DOCSIS are few of the key areas of interest for operators. Open standards and open-source community have redefined things by allowing anyone to innovate and deliver. Operators continue to face challenges in keeping up with the highest level of customer experience and at the same time keeping operational costs lower while deploying these technologies. SDN/NFV based solutions provide the foundation to keep up the service agility demands while at the same time, improve customer experience and help in reducing operational expenses. 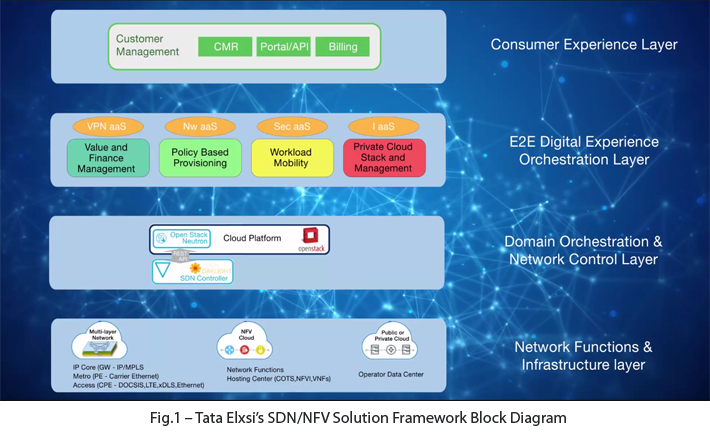 Tata Elxsi has a comprehensive portfolio of SDN/ NFV based services that enable global customers to deliver business service agility in their next generation networking technology solutions. Through our engagement with multiple pioneering customers, we have built significant capabilities in across the digital business service lifecycle, right from helping in strategizing, prototyping to architecting & developing innovative technology solutions. Our solutions & services include transforming legacy networks as well as engineer new age network products like federated controllers for North-bound & East-West interfaces, OpenFlow, NETCONF, YANG, YAML, JSON, REST based tools, Micro services based SDN cloud applications development, Performance optimizations in OpenStack and customization of open-source SDN controllers OpenDayLight (ODL) & Open Network Operating System (ONOS). Legacy and Next Generation (NG) Networks Inter-working, Test Automation and validation of security in a centrally managed multi-tenant network environment is another key challenge area of services. Tata Elxsi supports technology vendors and solution providers in driving the digital transformation, enhanced collaboration, and end-to-end integration between suppliers, operators through innovative platforms and standard-based interfaces and solutions across layers. Adding to the core technology strengths is our 500+ user experience designers, who bring together their in-depth understanding of consumers and the network ecosystem to help customers visualize product contexts and designs to deliver innovative solutions. We have created user interfaces through “Domain Driven Design” principles that simplify complex network management and can be operated easily. Apart from bringing forth our key strengths in development and deployment for Day0, and Day1 activities for the operators, our services are extended to Day2 operational support for private cloud deployments and post-deployment managed services. Tata Elxsi’s SDN/ NFV services have delivered significant value to its customers in creating the platform for rapid deployment of innovative business services. Tata Elxsi’s work has been recognized in the industry through award winning products deployed in the market.